Wrong. 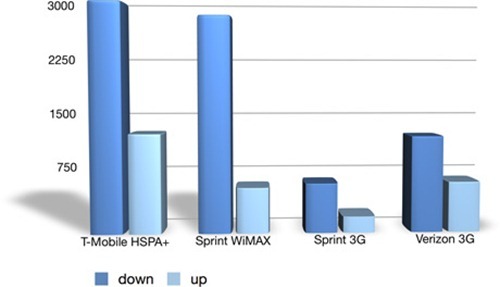 This isn’t any old 3G network – current tests show speeds anywhere from the same as, to 4 times faster than, WiMax – and T-Mobile’s only rocking HSPA+ 21 Mbps. HSPA+ has recently been demonstrated at speeds of 84 Mbps. For comparison, my home DSL runs at 1.5 Mbps (yea – the 4G on my phone is faster than that). Not only that, but those 4G speed tests were conducted before any 4G phones were released by Sprint, meaning now that a 4G phone is available, speeds will likely drop as devices bombard the limited number of towers for data (in comparison, the HSPA+ speed tests were run on an active, normal T-Mobile network). Furthermore, HSPA+ is backwards compatible (so current devices can benefit from the buildout), and since it’s an improvement on existing tech rather than something completely new, it costs a fraction of the cost. As a result, T-Mobile is building it out at an astounding pace – they expect to cover 185 million Americans by the end of the year. I really keep up on my tech news, and I knew they were building it out, but holy hell – that caught me off guard. The sum of all this is that T-Mobile is blowing my mind. We’re talking about the company that took years longer to even get to 3G than its competitors, and for years before that they were notorious for having poor reception pretty much everywhere. 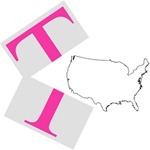 It looks like T-Mobile is quickly becoming a serious contender in the wireless industry. I like T-Mobile’s corporate mantra, and everyone loves an underdog, so good for them.